This past year I let my kids each pick a topic that we would study as a family. My daughter chose chocolate. I love chocolate, so I fully supported her idea. I created a chocolate unit study that involved reading lots of books about chocolate. The chocolate unit study is available at the end of this post! Chocolate is a topic that we have actually studied quite a bit. 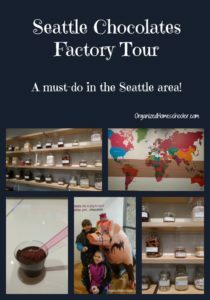 We lived fairly close to the Seattle Chocolates factory when we lived in Washington. We had the opportunity to tour the factory a few times. The tours included a film about how cocoa is harvested, a tour of the working factory, and a taste test. This was one of our favorite Seattle field trips, but I think it also helped create interest in this particular topic. This interest in chocolate was what spurred our entire unit. 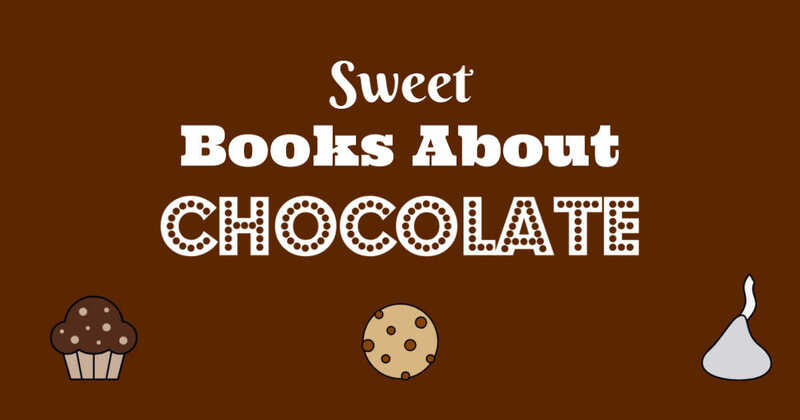 I tried to make our chocolate unit study fairly hands on, but we really enjoyed reading books about chocolate. Good books can make up the base of any unit study. The first of our books about chocolate was The Story of Chocolate. This is a DK Readers level 3 (reading alone) book. This book explains the cacao growing process, the history of growing and consuming chocolate, and the manufacturing process. I chose this as our first book about chocolate because it includes a mix of photographs and illustrations. We have never seen a cacao tree growing in the wild, so the illustrations were very helpful. This Heroes of History chapter book provided an in-depth look at the life of Milton Hershey. It begins when Milton is only 4 years old in rural Derry Church Pennsylvania. We learn about his education and family struggles. My kids were surprised to learn that Milton Hershey had multiple failed businesses. Members of his family even considered him a doomed businessman. He proved them wrong and went on to become a household name. This book includes a wealth of information about artisan small batch chocolate manufacturing. 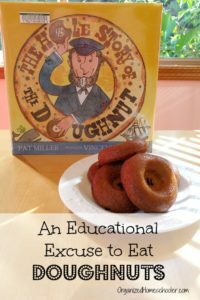 It includes topics such as farmer – chocolatier relationships, chocolate tasting, creative flavor combinations, and how to create a delectable chocolate treat. 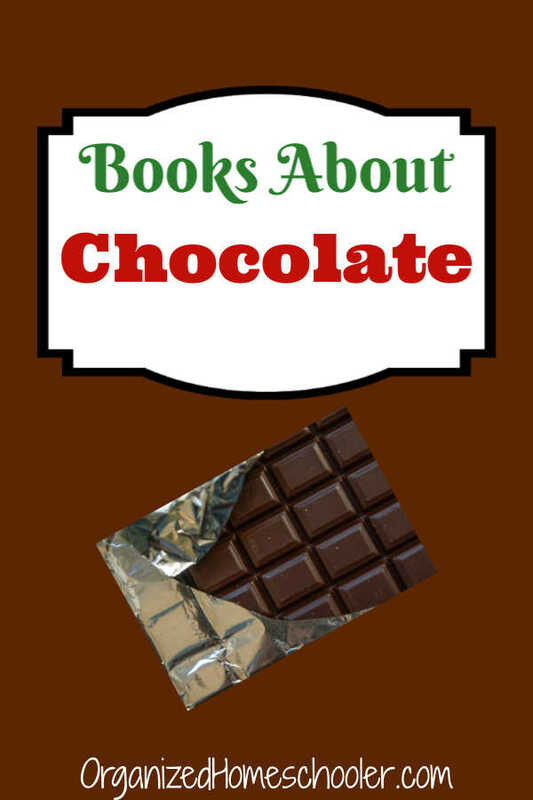 This book is perfect for anyone interested in creating chocolate candies or bars. The Sweet Story of Hot Chocolate explains the history of this popular drink through an easy to read chapter book. It also includes illustrations on every page. This book about chocolate is appealing to kids, yet full of facts. This book is written from the perspective of a child writing a report about her favorite topic – chocolate! It was part of our chocolate unit study, so this was very relatable to my children. The Chocolate Touch is the perfect book for any child who is obsessed with chocolate. In this chapter book John Midas is obsessed with chocolate. It is his favorite food by far. A bit of magic makes everything he touches turn to chocolate – his eggs, his orange juice . . . everything! Can there be too much of a good thing? This classic story is familiar to many children. If they haven’t read the book, they have likely watched the movie. Charlie, a young boy living in poverty is excited to win a behind the scenes tour of the Willy Wonka Chocolate Factory. The tour doesn’t go quite as planned though and there are quite a few hilarious mishaps. Lilly has one special chocolate heart left and she wants to save it. She looks everywhere to find just the right hiding spot. There are only a few short sentences on each page, making this a good choice for young children or new readers. George and the man with a yellow hat go tour a chocolate factory to see how chocolate candies are made. George quickly leaves the tour group to explore on his own. Curious George is known for causing mischief, so I think we can all see where this is going. 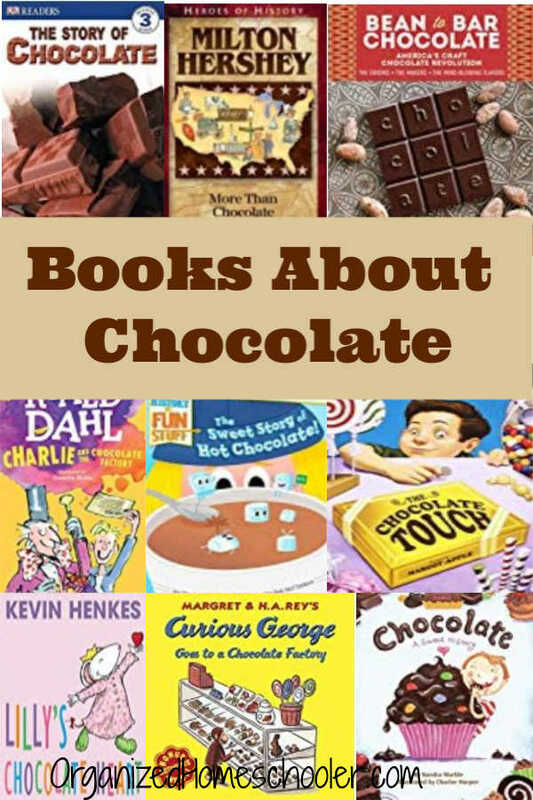 In addition to reading books about chocolate, I also created activities and printables for a chocolate unit study.